Suspended slab | House by the water. 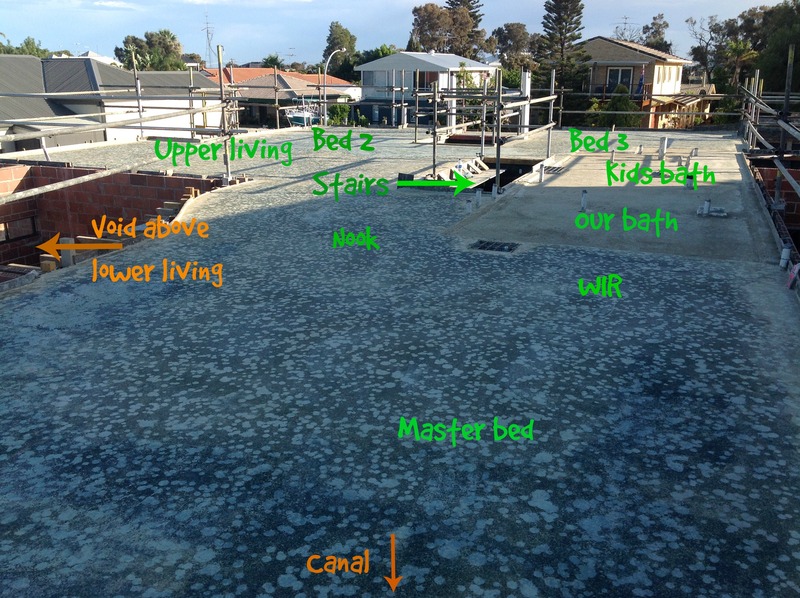 The latest milestone in the construction of our House By The Water is the suspended slab. Before you get excited, there is nothing fancy about a “suspended slab” – it just means it is not on the ground, it spans the space between the walls. 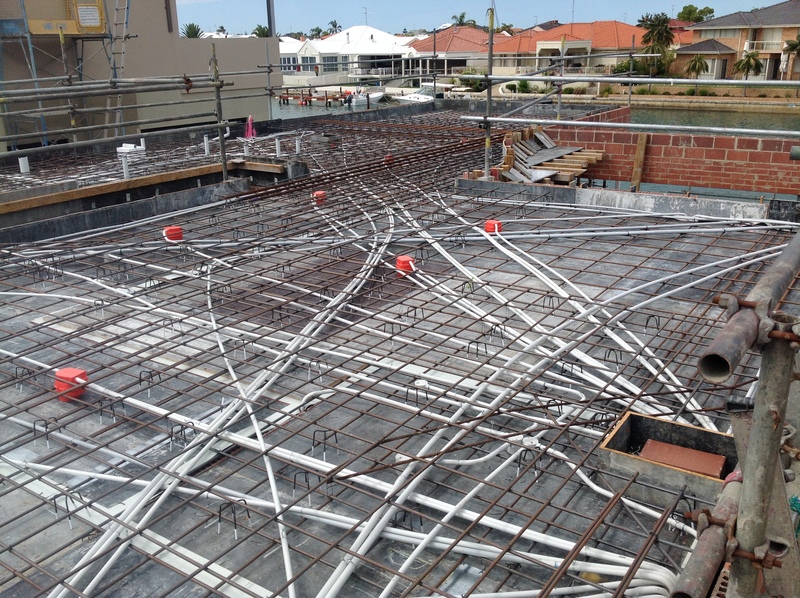 But if you would like to get excited or astounded by the amount of steel reinforcements and electrical conduits that go into a slab, go right ahead. I am rather amazed myself. This network of electrical conduits and steel is now hidden in our concrete slab. The heat in Western Australia last week was rather extreme. 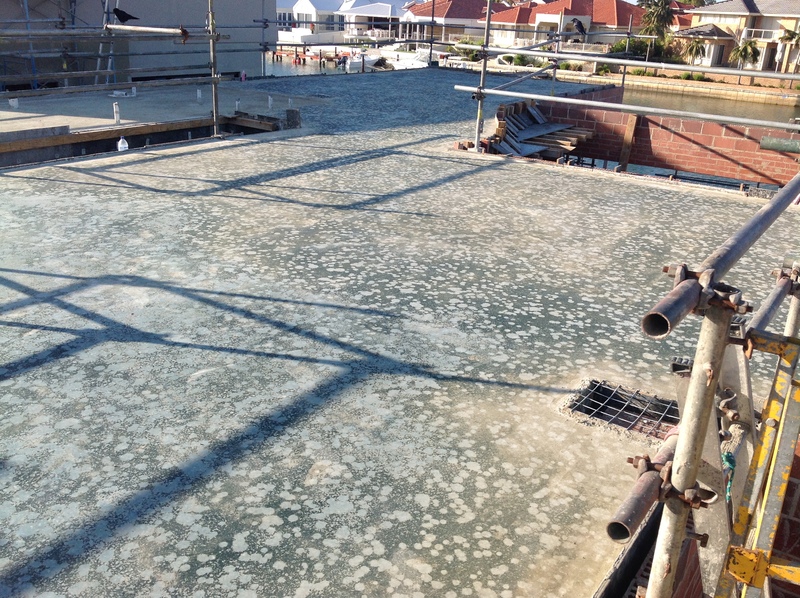 Our slab pour was postponed a couple of days in an attempt to pour the concrete in lower temperatures. The suspended slab looking a bit spotty from some rain. Thanks to our Site Supervisor from Webb and Brown-Neaves for the photos. Because we like pretty things on House By The Water, and maybe, like me, you don’t think our new concrete is quite in the “pretty” category, let me show you some good-looking concrete. Beautiful concrete. Happy Laugh’s vision for her farmhouse. Source: Norm Architecture. 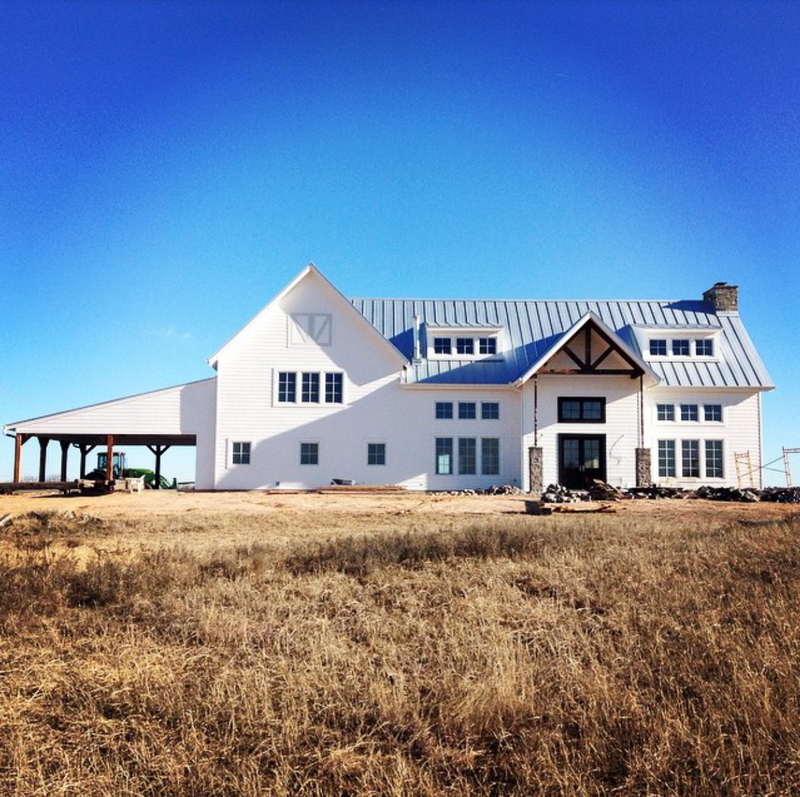 Happy Laugh’s farm house is nearing the end of construction. Amazing house that Happy Laughs is building. Incredible. How about Glam-barn-industri-navian? Yeah, I wanted to put the word “glam” in too, but already had a few too many words. Gorgeous, hey? I knew you’d love it too. Strong….heavy duty. I might not have spelled it correctly. I think it’s a Canadian word. I always get crazy looks when I say it here 😄. I think the suspended slab looks awesome! The engineering to hold those things up is always what impresses me! Love HappyLaughs home! Yes, I am very pleased to see all the reinforcement that’s going to help hold me and the house up. For me, it’s quite a learning experience. Probably you’ve seen many, so I’m glad you think our slab is awesome. If I ever live in the U.S. I’m moving in! That sounds awesome! 😊. Ha!! I’ve always wondered about the engineering mastery that goes on to get a suspended slab … concrete and suspension just seem like an oxymoron! Fascinating stuff. Happy Laughs home is just divine! I’m incredibly jealous.